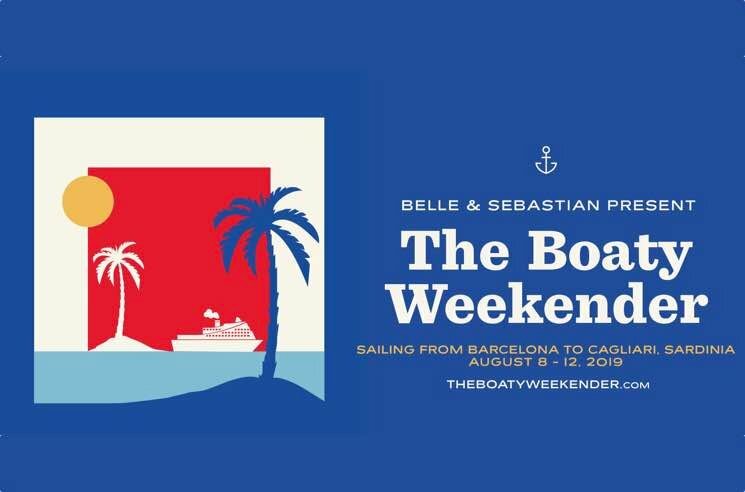 Belle and Sebastian will be taking their trademark twee-pop sound to the high seas next summer. After crowdsourcing ideas for a festival cruise, the Scottish band have confirmed plans to embark on the Boaty Weekender in 2019. The ship (named the Norwegian Jade) will sail from Barcelona to Cagliari from August 8 to 12. The four nights of band-curated entertainment will take place across five stages, including two performances by Belle and Sebastian. In addition to yet-to-be-announced musical acts, there will be stereotypically Belle and Sebastian-esque activities like yoga, trivia, Scrabble tournaments and more. We want to do it right. Let's have yoga and cocktails and club nights and themed balls and crèches and quizzes and scrabble tournaments — and gigs. Gigs upon gigs from some of our good friends and favourite acts in rock 'n' roll on five stages throughout the ship — and instead of stumbling home to a damp tent in a dark field, saunter back to the comfort of a clean bed in your own stateroom on a luxury liner. They've also promised some exclusive extras like a performance of Fold Your Hands Child, You Walk Like a Peasant in its entirety for the first 350 people to book cabins and a limited-edition cruise vinyl for anyone who books during the pre-sale. Find full details on the upcoming festival (including instructions on how to register for the presale) here. Watch a video trailer for the Boaty Weekender below.